As Brexit approaches, and with the current uncertainty, we would like to assure our customers that as a supplier we are prepared for several different Brexit scenarios. Hibiscus takes the risks associated with Brexit, the effect on import duty, and the flow of goods very seriously and we feel it is necessary to have a strategy in place to deal with a new set of circumstances. Whilst we can’t accurately mitigate all implications of Brexit, we believe that planning ahead is key to navigating such a potentially disrupting situation and so we have risk assessed the different elements of our business and looked to diminish any risk areas found. We have, over the last 2 years, taken steps to make sure the company is financially robust in order to combat any economic contraction. We have planned both our production and our stock holding so that we will have significant stock surplus of standard legislative labels, prior to 29th March. We are also looking to engage with our customers to understand their production plans so that we can maintain our service levels and respond to customer requirements. Hibiscus is willing to hold invoiced stock, in our warehouse, so that we can respond promptly and efficiently to customer demand. The majority of our raw materials are sourced either from the UK or outside the EU and are unlikely to be affected. This has also given us significant experience with importing and exporting into the UK. If the EU Withdrawal Agreement is ratified then we are unlikely to see much change with the UK remaining in the EU customs union, maintaining the free flow of goods. Chemical legislation will also maintain its’ European unity, with the UK being heavily involved in all areas. In the case of a “Hard Brexit” any issues that we incur will be largely down to transferring items through European Borders. Without further clarification on how a hard European border would operate, we are, like everyone else, awaiting further details. In the coming months, we are looking to interact with our trade body (BPIF) as well as those within the chemical industry, most notably the Chemical Business Association, Chemical Industries Association and Chemicals North West. 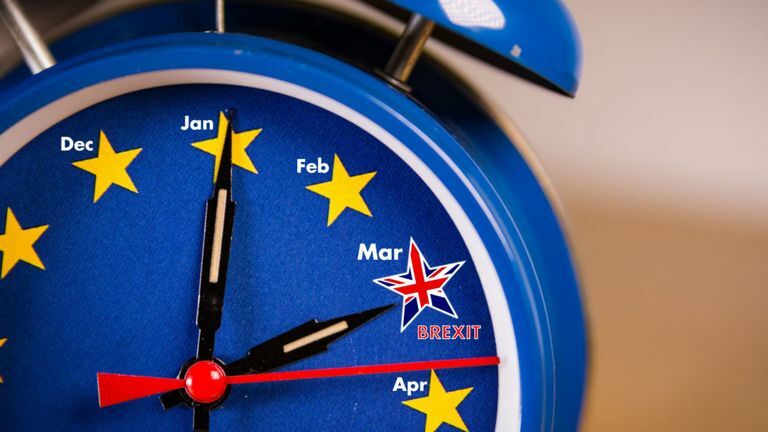 We hope you have found this Brexit update useful, and please rest assured that Hibiscus Plc is working hard to ensure that our solutions will be ready for whatever Brexit outcome is delivered by the Government on March 29th.